If you wish to join Guy Cribb at Gerroa this January then have a read through the details and confirm with Guy via email ASAP. 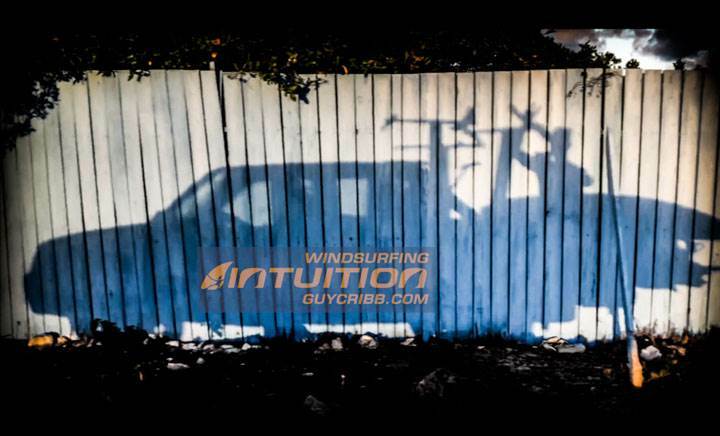 Please read and share this info for the 2019 Guy Cribb Windsurfing INtuition tour of Australia, January 2019. I hope you can join us- old friends and new- but the courses can not progress without your action so please respond to me asap confirming if you can attend! If I get enough guests, I will book my flights. If not, I'm going surfing on my hydrofoil in Europe. I'm sure you'll appreciate it is a high cost to travel to the opposite side of the world and live off Eggs Bene and fine wines everyday. PLEASE urgently email surf@guycribb.com/ reply to this email saying if you can join in- thank you and apologies for the late notice. Please also share the dates and info on your social media to help raise enough guests! Course- Wind or no wind these are fantastic events that have been very successful for guests for many years in all weather- please do not be disheartened if it's light winds forecast- this is ideal for learning! Venues- Exact meeting points to be confirmed to course guests by WhatsApp/ phone. Times- Start time 0930 each day, except the first day of each course start times are 1100. Evenings finish at sunset/ when everyone is exhausted- although we always have group dinners if you can join us. Food and drinks- we will have evening meals arranged but please organize your other meals and water/ drinks on the beach- some venues have local cafes. Windsurf gear- please BYO windsurfing gear and bring more than you think- especially if you have a big floaty board or SUP for light wind sailing. Harness lines 30-32" please. Ladies, please bring a seat harness too. Video replay- I intend to shoot drone video of you windsurfing to analyse and help you best progress- conditions depending. Please bring a fast / modern USB stick with minimum 32GB storage to get the film. Price- AUD$1000 Gero, Invy and Gerroa. Melbourne AUS$600. 3- Await my confirmation, payment info and joining instructions. Thanks for the info I'm down for Inverloch. Seeyas there! !